Your guide to all things mobile in the library from offline ebook reading, to mobile optimized websites, apps and QR codes. 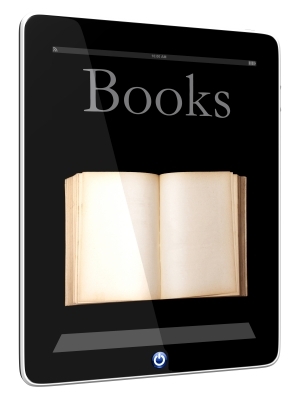 Several eBook platforms require Adobe Digital Editions for offline viewing. Not all devices support Adobe Digital Editions, for instance Kindle and Linux do not. Sign up for an adobe account at www.adobe.com. This is independent from your NetID. Download the Bluefire Reader App onto your mobile device for Android or iPhone and iPad. This free app supports Adobe Digital Editions DRM and enables you to add ebooks and files from multiple sources. Dalhousie provides access to ebooks that can be read offline on 2 ebook hosting platforms: EBSCO and ProQuest eBooks (detailed instructions below). We do not currently offer myilibrary hosted ebooks for offline reading. EBSCO ebooks can be accessed if you follow this link to our EBSCO eBook Collection. These ebooks are also listed in Novanet. Sign in with your NetID if prompted. Once you have signed in with your Dalhousie permissions, you will be able to access the full-text of the EBSCO ebooks online. To download the book to access offline, you will have to create an EBSCOhost account by clicking on the "Sign In" link in the toolbar on the top right of the EBSCO eBook Collection page. Once you have created an account and signed in, you will be able to download the ebook as a PDF to use offline for a maximum period of 7 days. To download and read the book offline, you will require either Adobe Digital Editions or Bluefire Reader App . For instructions on how to download these, please see section above. ProQuest ebooks can be accessed if you follow this link to our ProQuest eBook Collection. These ebooks are also listed in Novanet. Find the book that you want to download. Click "Read Online"
In the blue tabs on the left hand side click on "Download". This brings up loan options (1 or 7 days) and format options (PDF or ePUB). ePUB files ‘re-flow’ to fit the size of the screen and provide a more reader-friendly format for compatible mobile devices. Click "Download". The downloaded file type will be .acsm whether you choose PDF or ePUB. This file will open in Adobe Digital Editions. Older Kindles do not support Adobe Digital Editions. Kindle Fire can use the PDF format in the Bluefire Reader App or ePUB format can be transferred to Kindle using Calibre software.